Your feedback is important to us and always appreciated. Please let us know how your experience went with our amazing towing team. 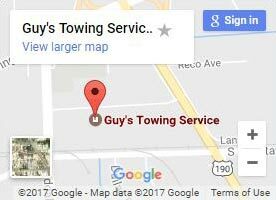 The team at Guy’s Towing was very prompt and professional. Thank you!